International baseball legend Ichiro Suzuki, who recently retired from Major League Baseball, has once again turned down an award from Japan’s Prime Minister. The Japanese star athlete has reportedly done so for the third time, noting that there will be time to be honored at the end of his life. Considered one of the greatest MLB players ever, Ichiro has previously stated on numerous occasions that he intends to keep playing throughout his 40s. However, Ichiro eventually decided to hang up his baseball gloves at the end of last month at the age of 44. Ichiro, who became the first Japanese-born position player to be posted and signed to an MLB club in 2001, left the American league with impressive records. This included MLB’s single-season record for hits with 262. He also achieved 10 consecutive 200-hit seasons, the longest streak by any player in history. In his maiden year in the American League (AL), he led in batting average and stolen bases en route to being named AL Rookie of the Year and AL MVP. Ichiro has the most hits by any player in top-tier professional leagues, which includes both his major league careers in Japan and the United States. While playing in Japan’s Nippon Professional Baseball (NPB) and MLB, Ichiro received 17 consecutive selections both as an All-Star and Gold Glove winner, won nine league batting titles and was named Most Valuable Player (MVP) four times. He was also a ten-time MLB All-Star and won the 2007 All-Star Game MVP Award for a three-hit performance. His impressive performance eventually led him to become the first MLB player to enter the Japanese Baseball Hall of Fame (The Golden Players Club). Upon his recent retirement, Ichiro got an offer to receive the People’s Honor Award. Such commendation is reportedly awarded by the Prime Minister himself to celebrate excellence in sports and arts, Soranews24 reports. The tribute is made extra special as it coincides with the upcoming Reiwa Era. It is worth noting that Ichiro’s professional career, which lasted from 1992 to 2019, was also quite aligned well with the entire Heisei Era, which ran from 1989 to 2019. Despite the apparent special distinction, however, Ichiro has reportedly declined the award. He similarly turned down two previous attempts to award him in 2001 and 2004 by then-PM Junichiro Koizumi. 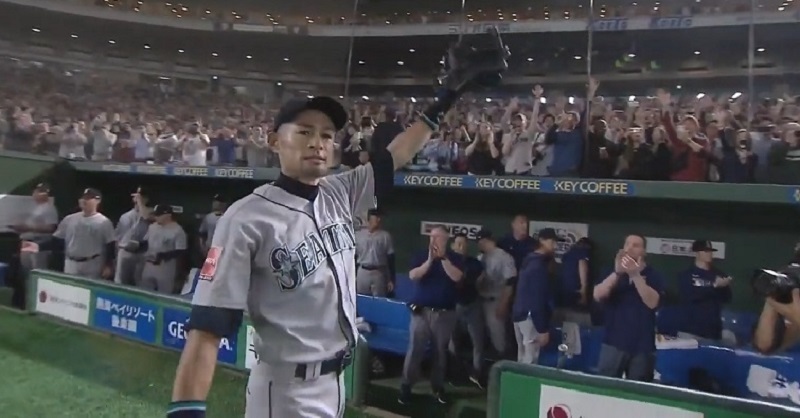 “When my baseball career is finished, if you would still be so kind, I would greatly appreciate it,” Ichiro was quoted as saying while turning down similar recognition by the state in the early 2000s. Japanese netizens have since expressed support to Ichiro’s decision to reject the awards for now. “He already has the people’s honor, he doesn’t need an award to show that,” one user pointed out. “I can understand not wanting politicians to glom on to your name and achievements,” another chimed in. “This is just the Abe administration trying to make themselves look good,” a netizen commented. “He said the end of his ‘baseball career,’ not the end of his ‘playing career.’” another explained, hinting that Ichiro might not be totally retiring from the sport, just decided to stop playing it.